Whoa! What do you think of this redwork embroidery by schinders on Flickr? 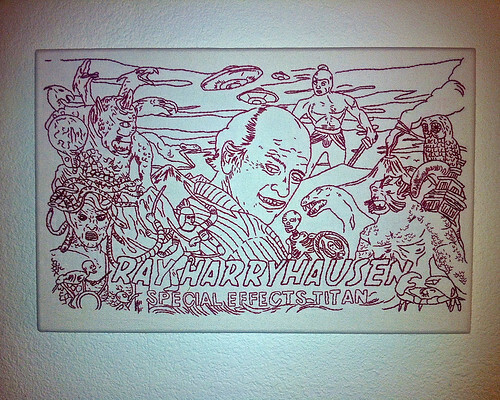 It's only a tribute to Ray Harryhausen, visual effects pioneer. Very cool!